A new year is right around the corner, and you probably want to increase your business’s revenue over the next 12 months. One of the best ways to grow your sales is to improve your presence online. GE Capital found in a study that 81% of consumers research products and services online before buying. If your website doesn’t show up in their searches, they won’t consider your business. Fortunately, there are some things you can do to improve your website’s visibility and get more notice, and more sales, from your website. They make take some time and some effort to do, but you’ll definitely see the benefit if you do them right. One of the best ways to get more visibility online is to make sure your site is worth visiting in the first place. Building out your site with more content is a great way to ensure your site is meeting the needs and desires of customers. Instead of a website with a single page, break down your site into multiple pages with their own topic or theme. For instance, your website’s home page should be a general introduction to your business, while your “About” page can be a more detailed history of you or your work. Other good ideas are product pages for the different products or services you offer; a contact information page that includes a map of your location; or a page that gives the answers to frequently-asked customer questions. In general, the more pages and the more content your site has, the better it will rank on Google and other search engines. Note that you shouldn’t create irrelevant or meaningless content – only create new pages or new text when you have something real to say. If you want some ideas on how to create deep, meaningful content for your site, check out our blog post on content creation. Along with adding information on new pages, another way to create content and engage your customers is through blogging. You might think of a blog as an online journal, but it’s much more. Used properly, blogs are a great way to increase your online visibility and establish yourself as an authority in your niche. Unfortunately for new bloggers, there is a lot of conflicting information on the web about what makes a blog good versus bad. Information about word count, image placement, posting frequency, and post structure can frustrate even seasoned writers. However, all blogging advice centers on one major point: your blogs have to be useful to readers. A good blog post either answers a question or presents new or useful information about your business to the reader. For instance, a service company like a roofer or plumber might blog about new products or even make posts about specific projects. A retailer might do reviews of their goods or talk about new product releases. A craft store could feature projects they made with their own products. Every niche has an interesting way to feature the business – you just have to find yours and explore it, then write it up for others to see and share. Your ultimate goal with your blog should be to add value. This refers to both adding value to your site and adding value to your readers. Create something valuable and it will have a much higher chance of achieving visibility and success. Social media has changed the way websites do business. It’s not enough to offer a good product – you also have to be responsive to people talking to you, or about you, online. Social media platforms like Twitter, Facebook, LinkedIn and Google Plus are great ways to interact with your customers. However, you do have to tread lightly. Your first goal should be to create profiles or pages on social media networks and build your profiles. Add pictures, company information, and other details until your profile is not just complete but comprehensive and attractive. Once you’ve built your profiles, it’s time to start engaging with customers. The best way to do this is to cultivate a presence on social media profiles by using them regularly. Post your blog posts and any other relevant content to your Facebook, Twitter, and other profiles. Don’t use them as personal spaces – keep your posts tied to your business as much as possible. Another way to build interactions with customers on social media is to run promotions or contests through these profiles. You’ve probably seen business offering gift cards or special deals for people who like their posts or follow them on Twitter or Facebook. There’s a reason these promotions are common – they work. Every time you get your audience to engage with you online, you build it out a little bigger. Over time (and with plenty of regular curation) you’ll find yourself with a large and attentive audience. Besides social media profiles, online listing sites like Yelp, Google Maps, Foursquare and Angie’s List are one of the largest ways customers get information about companies online. These sites let you build your own profiles, but they also collect info from customers in the form of reviews. More importantly, though, these review scores then show up on search result pages on Google and Bing. A business with lots of four- and five-star reviews looks much more trustworthy than one with one-star reviews or no reviews at all. The first step to getting reviews online is to build out your local citation profiles. There are plenty of sites that offer reviews for businesses, but some of the biggest are the ones we already mentioned. Yelp, Google Maps/Google Local, and Angie’s List are big players, as are directory sites like Yellowpages.com. You’ll need to claim your business profile and build it out much the same way as you did your social media profiles before. You can learn more about local SEO and profiles in our blog post about local SEO and reviews. Getting reviews from customers can be tougher, especially if you’re in a competitive niche. It helps to link your local profiles to your main site so that customers know where to go to leave you a review. You can also send out requests to review your services to previous customers if you collect their emails or phone numbers during business. One tactic to shy away from, however, is incentivizing reviews. Unlike promotions on social media, offering incentives (like coupons or discounts) in exchange for a review is against the terms of service for some sites. If you do want to offer review incentives, make sure you read over the TOS carefully and ensure you’re not doing something that could land you in hot water. Even with all the social presence and content in the world, some sites still won’t rank well online. That’s because they are set up in a way that search engines have trouble reading them or fitting them into their algorithms. If you want your site to rank well, you have to set it up properly from a technical standpoint. We often call this process “On-site Search Engine Optimization.” By optimizing your site for search engines, you make it more likely that the engine’s algorithms can index it properly. The search engine can then direct more queries to your site, resulting in more traffic for you. Title tags under 65 characters for every page, preferably with a keyword or key phrase included. Meta descriptions under 155 characters for every page, preferably with a keyword or key phrase included. The use of heading (H1, H2, etc) tags on your pages in descending order. Worthwhile content on every page, preferably at least 400 words. Title tags and alt tags on every image on your site. A variety of your important keywords in your content – but don’t overdo it! Another important part of making your site search-engine friendly is optimizing it for mobile visitors alongside desktop traffic. To learn more about how to make your site mobile-capable, read our recent blog post about mobile websites. Becoming more visible online doesn’t just mean doing well – it often means doing better than your competition. To secure the top spots on search engines and get more visitors to your site, you should take a look at what your competitors are doing and then do your best to beat them at their own game. There are plenty of tools and sites that let you snoop on your competition to see their online strategies. For instance, the Open Site Explorer is a great free tool that allows you to get the lowdown on some of your competitors’ activities including where they get links from and how they structure their pages. You’ll also want to look at other factors like the amount of information they put on their site so you know what customers are responding to. Pricing details, product information, and other services are all areas to pay attention to. Don’t restructure your whole site to mirror your rivals, but keep an eye on what works for them to get an idea of what might work for you. Above all else, it’s important to make your site usable for the people that matter – your customers. Many business owners get caught up in designing a site to compete in search engine results without thinking about how people will actually use it. This is a sure road to problems. Your top goal should be making a site that is easy to navigate and full of useful, easy-to-understand information. Sound like a lot of work? You’re not wrong. That said, you don’t have to do it all yourself. A skilled SEO partner like RankMonsters can perform the vast majority of this work on your behalf, letting you concentrate on what you do best – running your business. We’ve helped dozens of Oklahoma businesses achieve more visibility and more revenue from their websites. Why not make your site the next one? Did Penguin 3.0 Crash Your Rankings? Many business owners and webmasters asked themselves this question late last week. On Friday, October 17th, Google issued an update to it’s infamous Penguin ranking algorithm. This update, Penguin 3.0, has caused both ranking gains and losses for websites in Google search results. If your website used to rank on Page 1 and now ranks on Page 8 (or vice versa), you might have been hit by Penguin. But this begs the question – what is Penguin, and how does it decide which websites to praise and which ones to punish? Google runs on algorithms. These computer programs work together, using defined sets of rules and criteria, to filter through the millions of websites on the Internet in split-seconds. Google’s many algorithms include Panda, an algorithm designed to exclude poor content from search results; Hummingbird, which lets Google interpret search queries better; and Penguin. In theory, Penguin is designed to help filter low-quality websites from search results. It operates by looking at a site’s link profile – the links coming from across the web back to that site. If the link profile looks “spammy” to Penguin, it penalizes the site in search results while simultaneously promoting sites with “clean” link profiles. Unfortunately, innocent or older sites can also get caught in the algorithm. This update marks the first major change to the Penguin algorithm since October 4, 2013, when Google released a refresh of the algorithm which they called Penguin 2.1. That last refresh affected rankings for somewhere between 1 and 2 percent of all searches on Google. So far, Penguin 3.0 is looking to be broader in scope than previous versions. The biggest problem with Penguin, at least to webmasters, is that it doesn’t give websites any warning before it strikes. One day your website is comfortably ranking on the first page for some of your key terms, and the next it’s simply gone. Many website owners don’t realize they’ve been hit by Penguin until weeks later – and sometimes they never realize at all. There are a few ways to tell if Penguin has affected your site. The first is simply to check your search rankings. Google’s own Webmaster Tools is a good way to keep track of your average search engine rank, though you should keep in mind that it’s just an average. That is, if your site fluctuates between ranking in position 1 and position 10, your average rank will be 5. However, if your average rankings and impressions in Webmaster Tools have taken a hit since October 17th, Penguin is probably to blame. As an alternative method, you can also check how much traffic you’re receiving from search engines and compare it to pre-Penguin levels. If your traffic has dropped off significantly, you may have been hit. Penguin works on a simple principle: if a website has a link profile that looks to be spammy or unnatural – that is, made up mostly of links that were bought instead of earned – that website will be penalized. That means the only real way to gain your rankings back after being hit by Penguin is to clean up your link profile and remove links that Penguin finds suspicious. There are a few different tools you can use to view the list of sites linking to you, but again, the one most website owners should probably use is Webmaster Tools. For a detailed overview of how to clean up your link profile and get your site back on Penguin’s good side, take a look at our blog post on how to clean up your links. Unfortunately for many webmasters punished by Penguin, cleaning up your links isn’t an instant solution. The Penguin algorithm is updated manually by Google, so the changes in your link profile may not impact your rankings in Google search results until the algorithm updates again. Since Penguin only updates every few months at best, and over a year in this case, it’s very important that you get your links as clean as possible so you aren’t waiting for a long time to recover from negative links. How Can I Protect Myself from Penguin in the Future? One thing is for sure: Penguin 3.0 will not be the last Penguin update to shake up the search results. Whether you were hit by this latest update or you simply want to protect your website’s current rankings from future updates, you should do what you can to clean up your link profile and make sure Penguin won’t target you. Once you’ve cleaned up your link profile, you should think about your strategy for earning links online and getting better rankings. If you’ve ever paid to have your site listed in a directory or placed in a blog post, now is the time to stop those activities. Even if your site didn’t get punished this time, there’s no guarantee it won’t get caught in Penguin’s next iteration. Keep in mind that not every paid link is a bad link. 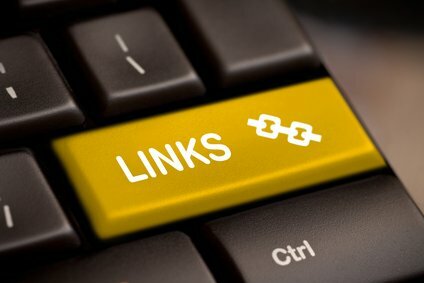 Paid links on high-quality sites or respectable directories for your business can be valuable. A good rule of thumb is, if you’re paying for more links than you’re earning naturally, you should retool your activities. You should never pay for a link with the sole goal of earning rankings – only use paid links when they offer actual value to your site or the one linking to you. If you are paying money to someone who promises thousands of links in just days or weeks, you should stop immediately. Your link-building strategy should focus on earning high-quality links from other authoritative sites. The best way to do that? Do something on your site that other people want to link to and share it with those people. Many small businesses find success in running promotions on their site, while bigger businesses may also get lots of links by releasing white papers or original research about their industry. Whatever your strategy, it should be focused on creating good, high-quality content, not just getting links. Want to learn more about getting better results and higher rankings for your website? Contact us today at RankMonsters! We’re a local Internet marketing agency, and we specialize in helping business owners get more performance and more revenue out of their websites. Call us today (405) 605-8218 or check out our Facebook and Twitter pages for more insight and tips! Two-thirds of Americans now own and regularly use smartphones, and nearly three-quarters of those adults search for local information on their phones before visiting local businesses. This data points to a major shift in the way consumers get online and make choices about where to take their business. If you want to be seen online, you must start taking advantage of the opportunities mobile offers. Unfortunately, many websites aren’t doing just that. If you own or operate a website that doesn’t display properly on mobile, you might actually be penalized in search engine results. 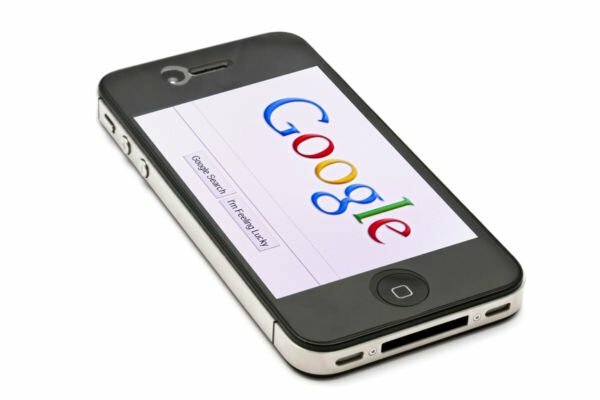 Google announced in June of 2014 that it would start adjusting search result rankings based on how well a website handles mobile visitors. For instance, 404 pages, videos that won’t play, improperly-sized images, and hard-to-read text could all negatively affect a site’s rankings. Another telling move is the addition of “not-mobile-friendly” icons to some mobile search results. The icon, showing a smartphone with a slash through it, could potentially discourage mobile searchers from visiting a site. 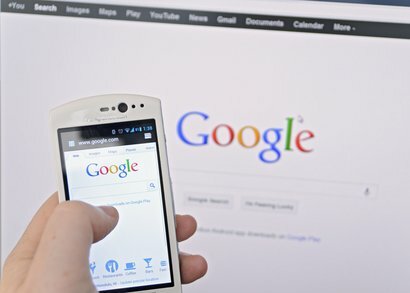 These decisions clearly show Google’s philosophy on the matter of mobile search: if your website can’t handle mobile visitors, Google isn’t going to send them to you. That means it’s vital for your site to start handling mobile well. But if you aren’t set up for mobile yet, how do you get started? Website owners have two real ways to handle mobile visitors: responsive websites, and dedicated mobile sites. Each solution has its advantages and disadvantages, so you’ll need to decide which one is right for you depending on your goals and preferences. We’ll take a look at each type of site to help you make the choice. Many business owners today are solving the mobile question with responsive websites. These sites handle mobile in an interesting way – rather than directing users to a separate site, they simply resize the entire website to fit the display of the device the visitor is using. That means that a visitor to your site using a laptop would see a “full-size” version of the site, while a mobile visitor would see a version that is optimized to fit their smaller screen. With a responsive website, the overall design of your website stays the same, but individual elements (such as images, text, and menu bars) change to suit the device. This has a number of advantages over other solutions, but it can also pose some technical challenges. 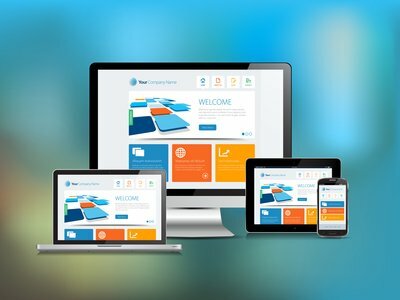 Only One Site – The biggest advantage of a responsive website is that it allows you to keep the same site across all devices. This makes it easier to make changes to your site, keep track of all your content and pages, and ensure a consistent experience for your visitors. Only One URL – Your site’s web address is important for both search engine rankings and for online name recognition. Using a responsive design allows you to keep the same URL across all devices, making it easier for visitors to know where they are online. Protection from Bounces – In web design speak, a page’s “bounce rate” is the percentage of visitors who come to one page on the site and then leave without going anywhere else. Mobile sites often have a high bounce rate, since they offer a “stripped-down” experience with less design and content. A responsive website avoids that problem by offering all users the same content, regardless of platform. Lower Costs – Because you only have to operate a single website, you keep your costs down. One website is cheaper to run than two. Responsive Design Doesn’t Always Respond – While the idea of responsive design is to offer a unified, easy-to-use experience for all users, sometimes your site may actually pose challenges you didn’t intend. Sites that are improperly optimized for mobile can drive off mobile users who want a simple, clean experience. Mobile Has Different Needs – Smaller screen sizes and touch-based interfaces mean you may have to put emphasis on different parts of the same page to achieve conversions from both desktop and mobile. This can be complicated unless you’re an experienced web designer. Technical Difficulties – Older computers or browsers may not always render responsive sites correctly. Plus, new phones or browser apps may also have challenges with a mobile site that hasn’t been updated regularly. Responsive web design isn’t for everyone. Many site owners prefer the relative safety of a dedicated mobile site. While there are some difficulties to operating a mobile site alongside a desktop version, mobile sites also offer a number of advantages that site owners appreciate. The chief draw of mobile sites is that they are designed from the beginning for display on a mobile screen. This ensures the content, interface, and design are consistent and optimized for mobile visitors. Mobile sites also handle slower internet connections better than responsive sites, offering quick load times to visitors on cellular connections. This is important for visitors – Google actually uses load times as a factor in its search engine rankings. Better User Interface – By offering a site designed specifically for mobile users, you ensure that the interface and design of the site handles mobile well. This is a big advantage over many responsive sites that try to shoehorn a desktop experience onto mobile. Speed – Mobile websites often have less elements (pictures, videos, advertisements) that take time to load over cellular connections. This will make your site load faster on mobile devices, and it will also save your visitors from using all of their data allotment on loading your site. Cost – Since you have to design, implement, and manage two websites, it’s understandable that a dedicated site costs more than a responsive one. However, dedicated sites don’t cost as much as you’d think to develop, so this isn’t a huge negative. Technical Challenges – If users on mobile devices try to visit your desktop page, you’ll need to automatically redirect them to the mobile site. This can present some challenges, especially if you have a large or complicated site structure. Two Sites to Run – With a responsive website, any change you make is automatically applied to the entire site. Dedicated mobile sites are separate from their desktop counterparts, meaning any change you make to one, you’ll have to make to the other too. Two URLs – Mobile sites have a different URL than desktop sites. This can make your site a little harder to market, though with automatic redirects its not as challenging as it used to be. Many companies have turned to a third solution to the mobile problem: mobile apps that take the place of the mobile website entirely. Often you’ll be prompted to download and install the mobile app when you visit one of these sites. It’s easy to see why owners and designers like apps – they’re not hard to design, they ensure a consistent mobile experience, and they can collect and send back more customer data than a website can. However, apps aren’t a true mobile site solution. When you create an app for mobile users, the app doesn’t take the place of your website. Mobile users that don’t want to download an app will still use your site, and if your site isn’t mobile-friendly, you’re back to square one. Plus, Google and other search engines don’t look at apps when deciding search engine rankings, and they aren’t going to rank content that can only be found in an app. You could design the best app in the world put the best content on it, and you’d still lose out on rankings because your actual website doesn’t handle mobile visitors well. Plus, apps don’t all work on all devices. You’ll need to develop separate apps for Apple, Android, and Windows Phone devices – a costly proposition. When you consider the costs of maintaining and updating apps across all platforms and devices (each one with its own software update schedule and conflicting requirements), you can see that apps are not a great solution for the vast majority of business owners. The Internet is only going to become more and more mobile-centric in the coming years. If you want to perform well online and get business out of your website, you need to take advantage of the mobile space. Otherwise, you’ll be left behind. To learn more about generating conversions and leads from your website, contact us today at RankMonsters (405) 605-8218. We’re a local Oklahoma City Internet marketing firm, and we can help you on the path to online success. Part of our Oklahoma City SEO work involves staying aware of the latest trends and best practices in search engine optimization. One of the biggest changes in the last year has been the increased focus on cleaning up negative or low-quality links coming to your website. If you’re a small business owner who wants to rank higher, or if you’ve worked with other SEO companies in the past, you should be aware of the links that are pointing to your site. A toxic link profile could be responsible for huge drops in search engine rankings and traffic. To understand why the links coming to your website (or inbound links) are important, you need to know a bit about the way Google ranks web sites in its search results. In the past, Google and other search engines used the number of inbound links a website or page had as a measure of that site’s quality. The more websites that linked to a given page, the “better” Google assumed that page must be, and as a result the pages with lots of links tended to rank higher in search results. Once webmasters and website owners found out how this ranking strategy worked, they quickly took advantage of it. Paid directories and link compilation websites became common, and websites ended up with tens of thousands of bought or unnatural links pointing back to them. To combat the rise of unnatural link profiles, Google introduced a number of updates to its search engine ranking algorithms. The largest of these is the Penguin algorithm. Google’s Penguin algorithm filters out and penalizes websites with link profiles that it deems to be unnatural or spammy. Google’s goal with the Penguin algorithm is only to have sites rank highly when they have “earned” the high ranking by accumulating links naturally over time. The problem with the Penguin algorithm is that, even if your link profile is natural, Google can still see it as spammy or unearned and penalize your site accordingly. That means it’s vitally important for website owners and managers to pay attention to the sites that link back to them online. Once you get penalized, you have to wait for the next Penguin update to refresh your site’s rankings, and that can be months of waiting. All of this raises the question: How do you keep yourself from getting penalized? The key to avoiding penalties and staying on Google’s good side is to regularly check and clean up your backlink profile for your website. There are a number of ways to check who is linking to your website online. Some users prefer tools like those offered by Majestic or AHRefs – high-powered suites with lots of options and extensions. However, for most website owners, the best tool is the simplest. In this case, that tool is Google’s Webmaster Tools. Webmaster Tools is Google’s website data reporting utility. With Webmaster Tools, you can learn more about your website’s visibility and traffic, generate reports based on your site’s data, and also explore how your site is connected to other sites on the web. To set up Webmaster Tools, you’ll first need a Google account. (Already have Webmaster Tools set up? Feel free to skip the next few paragraphs.) If you have a gmail address, this step is already done. If you don’t, you can go to accounts.google.com and click “Create a New Account” at the bottom of the page to get started. Next, you’ll need to get your site authorized with Google Analytics and Google Webmaster Tools. Analytics is the easier of the two to start with, so we’ll begin there. To add your site to Google Analytics, follow these instructions from Google. The process isn’t very complicated, but you should be familiar with getting to your website’s code before you start. Once you have the Analytics tracking code in place, you’ll also need to activate Webmaster Tools. Fortunately you can use Analytics to make this step easier. First, go to www.google.com/webmasters/tools/ and sign in to your Google account. Next, you’ll need to add your website to Webmaster Tools, using the red button in the upper right corner that says “Add a Site.” Finally, you’ll need to verify that the site is yours. There are several ways to do this, but the easiest way is using Google Analytics. Under the “Verify” page, go to the “Alternative Methods” tab and click the bubble next to “Google Analytics.” Then follow the steps to verify your ownership, and you should be good to go. Once Webmaster Tools is up and running, you should be ready to check and clean up your links. To do this, you’ll need to download some of the most current links to your website so you can see what they look like. Using Webmaster Tools, you’ll want to go to the “Search Traffic” tab, then choose “Links to your site.” From there, you’ll want to click on the option labeled “Who Links the Most,” then choose the “More>>” option. If you notice any of these problems in your links, you’ll want to try to get those links removed. In most cases, the only way to remove a link is to contact the webmaster of the website linking to yours and ask them to take the link down. Most webmasters will be happy to comply. It’s helpful to keep track of the sites you email so you can check back after a few days to see if the link has been removed. A good rule of thumb is to try to contact a webmaster at least twice before moving to the next step in the link removal process. If you can’t get in touch after two attempts, it’s likely that the webmaster doesn’t respond to link removal requests. When you have links that you can’t get removed directly, you need to go to the next step – the link disavow tool. Using this system, you can remove any connection between your site and a toxic link. However, using the disavow tool too much or too loosely can have its own negative effects, so only do it when you’re sure you can’t remove a bad link any other way. Most website owners shouldn’t ever have to go this far – only do this if you’re sure these links are causing issues for your site. Keep in mind that you can only have one disavow list active at a time – if you upload more links to the tool later on, you should also keep the original links in the list to make sure Google still keeps them disavowed. Keeping your link profile clean and up-to-date is an important part of website maintenance. With a good link profile, you should be able to rank higher and get more visitors to your site than you would otherwise. It’s not always a fun job to clean up your links, but it’s definitely good for your business. Want to learn more about getting ranked higher in Google and other search engines? Contact us today at RankMonsters (405) 605-8218! We’re Oklahoma City’s top SEO and digital marketing firm, and we help dozens of businesses around the state with their online visibility and advertising. Call today (405) 605-8218 to learn more about our services and what our monsters can do for you. Though it seems like only yesterday that Google rolled out the last round of updates to its ranking algorithms, a new update has just arrived. Over the last few days, Google updated its Panda algorithm and its Spam algorithm. There is also speculation that another update to the Penguin algorithm could soon follow. These updates mean significant ranking and traffic change for many websites. Google has officially denied that they have any plans to update Penguin, but some people in the SEO industry suspect that they might just be saying that to avoid public outcry before the algorithm takes full effect. Confused about what these vicious penguins and giant pandas want to do to your website? We totally understand. It can be tough for people who don’t keep up with SEO news to keep track of every Google algorithm. That’s why we thought it might be useful to provide a brief overview of Google’s ranking algorithms and how they affect you. Google’s Panda algorithm finds and filters low-quality content from search engine results. This ensures that only the most relevant, truly engaging websites make it onto the first page of results. The current update, known as Panda 4.0, marks the fourth major change to Panda. However, Google also updates Panda with rolling monthly updates in an effort to stay ahead of each new scheme to drive up rankings for low-quality content. Panda affects a large portion of the searches done through Google. In fact, Google’s SEO expert Matt Cutts says that Panda 4.0 affects the results for about 7.5% of all English language searches. This has caused dramatic changes to the rankings and traffic of some websites. Also known as Google’s “Payday Loan Algorithm”, the Spam Algorithm specifically targets spammy websites that use terms you might see in your email’s junk folder, such as “payday loans”, “viagra”, “life insurance”, “LASIK” and “free coupons”. The Spam Algorithm mostly affected foreign websites and pages containing large numbers of spammy or extremely low-quality links and keywords. Most legitimate websites were not hurt. 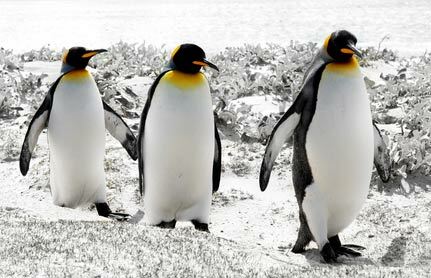 Penguin may be Google’s biggest and baddest algorithm update. While Panda targets low-quality content and the Payday Loans Algorithm fights spammers, Penguin punishes poor SEO tactics. Sites that were SEOed with practices that worked in the past but are frowned upon today are going to feel the brunt of this algorithm change. This is because Penguin doesn’t differentiate between recent work and optimization done years ago, when guidelines were different. In fact, it’s extremely harsh on any problems that it finds. Penguin focuses primarily on finding and filtering out sites it believes to have unnatural or highly optimized link profiles. In other words, it looks at all the websites on the Internet that link to your site and decides whether or not you “earned” those links (by providing high-quality content and services that people want to share or listing yourself on high-quality curated directories) or you “paid” for them (by hiring an unscrupulous SEO company or spamming links out across the Internet indiscriminately). If Google’s Penguin decides that your links weren’t “earned”, it will drastically reduce your site’s ranking positions and traffic. Unfortunately, the Penguin algorithm can’t tell when or how links were created. This means that people who used SEO companies several years ago are getting penalized for these poor links today, even though the work these companies did wasn’t frowned upon at the time. Google is punishing these people for doing things it decided were wrong long after they did them. Penguin also makes it easy for competitors, spammers, and malcontents to sabotage your website by sending spammy links to negatively affect your rankings. All of this may sound very scary to you. Fortunately, there are some things you can do to protect your website. The best way to avoid any trouble is by following Google’s Webmaster Guidelines very closely and making sure your SEO company does the same. The Webmaster Guidelines are Google’s own list of tactics that will and won’t get you penalized by their current algorithms. Following these guidelines ensures that your website will keep attracting the same high traffic unimpeded. 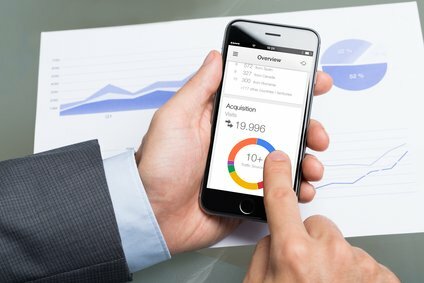 Keeping Your Site Updated – Regular updates to the content on your website, whether it is on your homepage, in a blog, in your testimonials, or in your service page, helps Google’s ranking algorithm index your site and will send ranking signals that show your page is relevant for certain keywords. You earn more notice from Google and make it easier to gain rank by updating your website regularly with high-quality content. Using Social Media – Using social media sites, such as Google+, Facebook, Twitter, Reddit, to link back to your site performs several actions that help to raise your rankings. Firstly, you make it possible for people to see and share your content. Secondly, you build a connection between your social profiles and your website. Thirdly, you show Google that you’re an authority in your field who works hard to share your knowledge with others. All of these signals can make your site stronger and more likely to rank higher. Building a Quality Site – Sites that buy higher rankings will get punished. Sites that earn higher rankings don’t. You need to earn higher rankings for your website by putting in some old-fashioned elbow grease and providing high-quality resources for the people who want your product or service. Well-written and original content, clean and easy-to-understand design, and helpful information tells Google that you’ are an upstanding and trustworthy member of the online community. RankMonsters can answer any questions you may have about your website, your rankings and anything else related to Google algorithms and search engines. We live and breathe SEO and always stay on top of the latest algorithm changes. Call us today and find out how we can deliver you more traffic, deeper customer engagement, and higher sales.